In my last blog post, I shared about the recently held “Global Discipleship Congress” in Manila. This congress was held at the main church of Christ’s Commission Fellowship (CCF). My husband and I have the privilege of being on the leadership team of one of CCF’s satellite churches . . . and indeed it IS a privilege! When Jun and I began to feel God leading us to move back to the Philippines in 2013, one of the things that we were most excited about was the thought of being part of a dynamic church growth movement here. We were blessed to find a brand-new CCF satellite about half a kilometer from our home. Though our church is not perfect by any stretch of the imagination, it IS an amazing testimony of God at work through believers committed to intentional disciple-making and I hope we all can learn from their story. In 1982, Pastor Peter Tan-chi (a Chinese-Filipino businessman) and his wife Deonna (an American) started a Bible study among some of their friends. Three couples attended that first Bible study, but the group gradually grew as attenders invited friends. Pastor Peter was very intentional in discipling those attending the study, training and challenging them to start their own small group Bible studies. In 1984, the first Sunday worship service was held with a core group of 40 people. 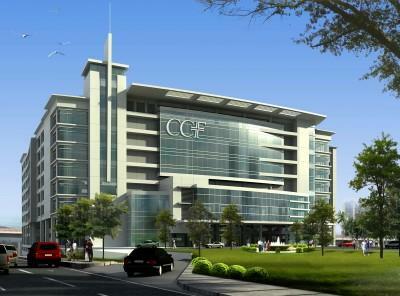 Thirty years later, CCF has grown to over 60,000 members in 50+ satellite congregations throughout the Philippines and beyond! Matthew 28:19-20 “Go and make disciples of all nations, baptizing them in the name of the Father and of the Son and of the Holy Spirit, and teaching them to obey everything I have commanded you.” Every CCF member knows that this verse, Christ’s commission to His followers, is foundational to CCF. CCF Mission: “To glorify God and make Christ-committed followers who will make Christ-committed followers.” All CCF members are challenged to align their personal life mission with this mission. CCF Vision: “To see a movement of millions of committed followers of the Lord Jesus Christ meeting in small groups, transforming lives, families, communities and nations, all for the glory of God.” THAT is a God-sized vision, and CCF members are constantly challenged to look to God for the results and to do their part in reaching those in their circle of family, friends and acquaintances. Immediately following the Global Discipleship Congress, leaders of all CCF satellites stayed for one more meeting. At that meeting, Ptr. Peter Tan-chi talked about “Church Growth Paradigm Shifts.” These more fully explain the ministry philosophy of CCF and I’ll share more about that in my next blog post.